Energy, power and beauty of Siberian Husky make him absolutely exceptional. Huskies have a double-layered coat, and are usually low shedders. Their beauty has conquered many hearts, and to maintain your dog healthy and happy you have to care about it. 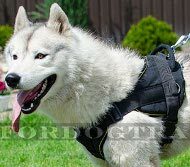 Our high-quality dog equipment will help you to do your best. 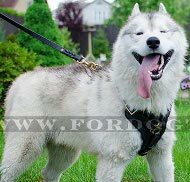 For example, your Siberian Husky needs a strong beautiful dog collar made of non-toxic materials, with reliable furniture. 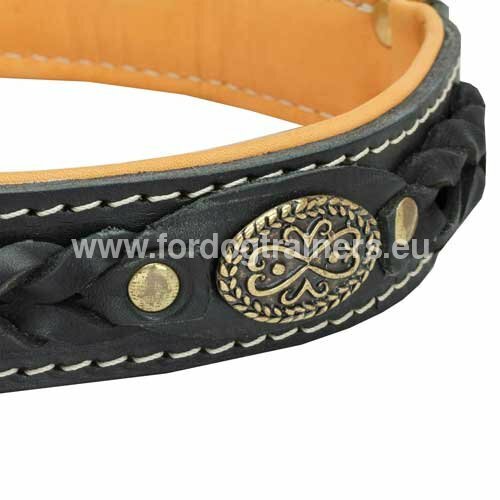 Our Braided Collar for Husky will meet all your requirements. This collar is made of genuine leather and is padded with nappa, very soft material. 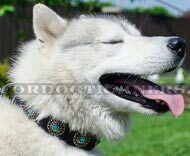 The braids of this Decorated collar for Siberian Husky are hand made and riveted, as well as other decorative elements of the dog collar. The hardware made of brass will not disappoint you - it is welded and riveted for increased durability. Only advantages, only for our customers! 1. 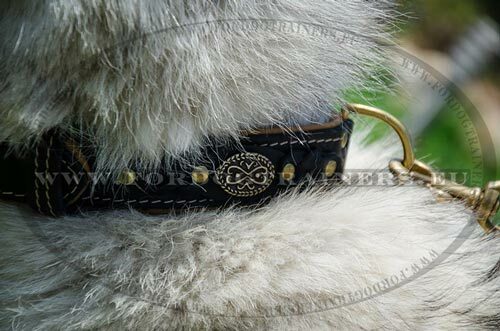 Last week I ordered this collar for my Doberman "Nebuchadnezzar" - the product is Royal. The leather and craftsmanship are excellent. I was so impressed with the collar and matching leash that I made a call to thank you right after I received them. 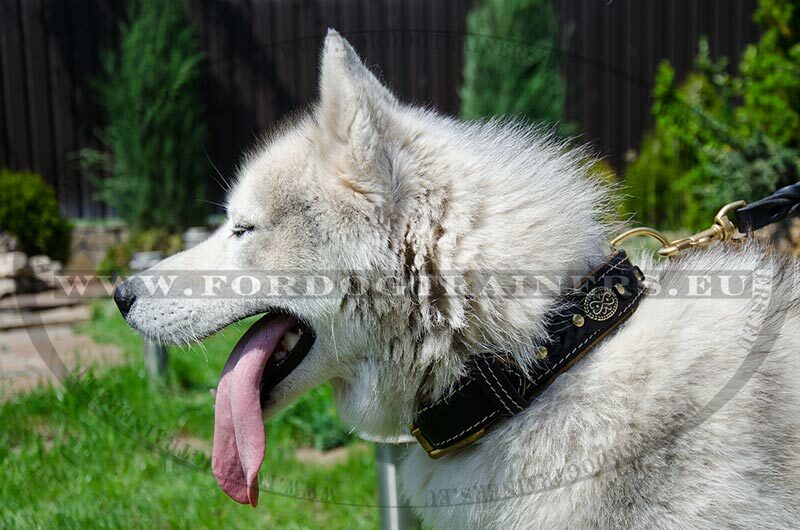 The collar is perfect for a big dog - with its solid hardware - and my dog enjoys them very much. Thanks a lot! 2. Hello, To my surprise, the order arrived very quickly. We are extremely pleased! Design is excellent, super quality!!! 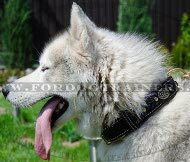 The collar looks very stylish on my dog, those who know pay attention to it. Wish you the very best of luck.